Cracked walls, leaking windows, mold, and other problems with a new home are potentially signs that your builder did not construct your home properly. These and other construction defects can affect more than the value of your home. They can also affect your family’s health. At Riley & Jackson, P.C., we handle serious construction defect cases. We offer a free initial consultation to discuss your case. There are many different types of construction defects. Some are readily apparent, while others can require experts to diagnose and cure. In one of the cases we handled, our clients were faced with a cost of over $900,000 to repair rotten wood, defective windows, moisture damage, termite damage, and other problems. Other issues, such as structural deficiencies, can be more difficult to identify and solve. Walls may crack in a particular pattern, or water may come in through leaking doors and windows that have shifted due to improper settling. In some cases, materials used to clad a home can cause moisture to become trapped in the wall and lead to major mold problems. Our lawyers will seek to hold the builder or contractor financially responsible for all damages resulting from the defects. 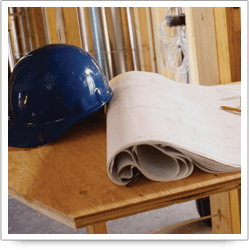 For more information or to schedule an initial consultation with construction defect attorneys, please call 205-879-5000 or send us an e-mail via this website.